As the clock ticks down to West Ham’s 2016 move to London’s Olympic Stadium, the Boleyn Ground (or Upton Park) has seen better days. West Ham are a club steeped in history, and their fans have certain expectations. This is a club that has been graced by the likes of Bobby Moore, Trevor Brooking and Geoff Hurst. A club that even more recently produced an immensely talented academy group, including the likes of Rio Ferdinand, Frank Lampard, Joe Cole, Michael Carrick, Jermain Defoe and Glen Johnson, that has provided the backbone to the English national team for a generation. West Ham fans crave success, but first and foremost they expect to be entertained, and believe football should be played the “right” way. So, for their sins, their owners have given them Sam Allardyce, perhaps the league’s most pragmatic manager. 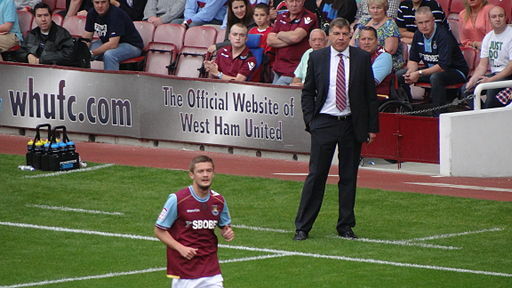 The Hammers finished last season in 13th, seven points safe of relegation, but seem to be on a slippery slope. West Ham have been on a tightrope for the past few seasons, and this might just be the year they fall off. Sam Allardyce is one of the Premier League’s biggest characters. “Big Sam” wears his heart on his sleeve, and is akin to the league’s perennial underdog. He first captured the imagination of football fans at Bolton, by employing a strategy of signing some of the games greatest players towards the tail end of their careers. This brought the likes of Jay-Jay Okocha, Youri Djorkaeff, Fernando Hierro and Ivan Campo to the Premier League and built quite the reputation for Allardyce. He was the man who could transform a club on a shoe-string budget, capturing the imagination of the fans, and upsetting the league’s superpowers. Then he moved on to Newcastle, where with money to spend, it all began to backfire on him. Next up was Blackburn Rovers, where Allardyce was unfairly dismissed by Indian chicken magnates the Venky Group, in what would prove to be the start of that club’s downfall. That leads us on to West Ham and the present day. The allure of Allardyce has long since faded, and his reputation has become one solely built around his teams unattractive styles of play. Allardyce relishes direct, physical football, and this seems to have set him on a collision path with West Ham’s supporters. If he’s to remain in his job, Allardyce needs to hit the ground running this season. With leading striker Andy Carroll constantly plagued by injuries, the all important goal scoring burden seems likely to fall to Enner Valencia. The 24-year-old Ecuadorian striker signed with West Ham on a £12m deal from Mexican outfit Pachuca, after a particularly impressive World Cup campaign. 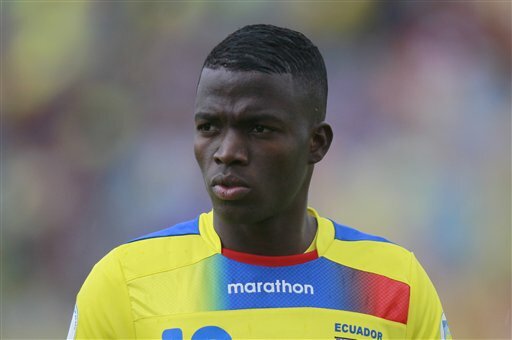 Valencia scored three goals during Ecuador’s short lived World Cup adventure, and showed himself to be a well-rounded striker capable of scoring in a variety of ways. He doesn’t seem like the kind of player to be fazed by the prospect of playing in the Premier League, but West Ham fans will be hoping the likes of Mauro Zarate and Carroll can help share the goalscoring responsibility with him. West Ham don’t have the largest of squads, and there’s justification to question what the current atmosphere amongst the group is anyway. If the Hammers are to survive in the top flight for another season, they’re going to need some luck on the injury front, as well as having all players firing at their peak. With the Tottenham, Liverpool and Manchester United all on the agenda for West Ham within the first six games of the season, the Hammers need to be ready from the opening kick off. With the infrastructure in place to build an exciting future around, the last thing West Ham need is another relegation battle, but at the moment that seems to be exactly what their squad is set up for.